Our Gourmet Lunch Boxes are packed individually, allowing for individual choice for each of your clients. They come with a wide variety of fillings to suit most palates and comprise a sandwich/wrap or other main, POSH crisps, artisan dessert bar ,drink of their choice and a few extras which we throw in for good measure and to round off the lunch. Special requests for birthday , leaving lunches etc can be discussed. We can tailor the lunch around a theme if need be. 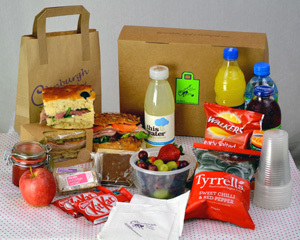 Our Gourmet Lunch Boxes can either be collected or delivered anywhere in the Edinburgh Area. 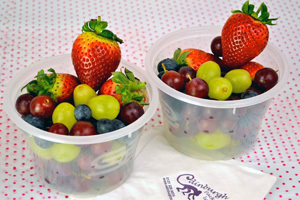 Our picnic boxes include plates, cutlery & hand wipes. Picnic boxes are assembled for a minimum of 2 people. Wine or Champagne can be included if required at an additional cost. Please inform us of any special dietary needs .